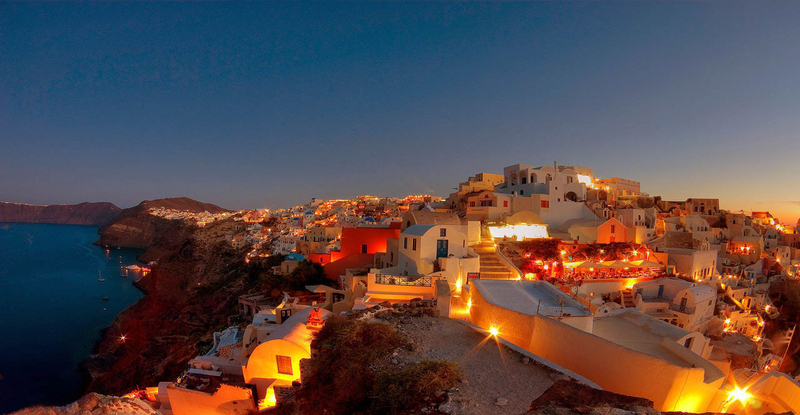 Santorini is a place that will seduce you with its amazing landscape, dramatic heights and magnificent sunsets. This is a place of wonder that you can best enjoy by sailing boat and sail the aegean. You can admire the island, from your yacht as well as on the land. This is the perfect place for a honeymoon! 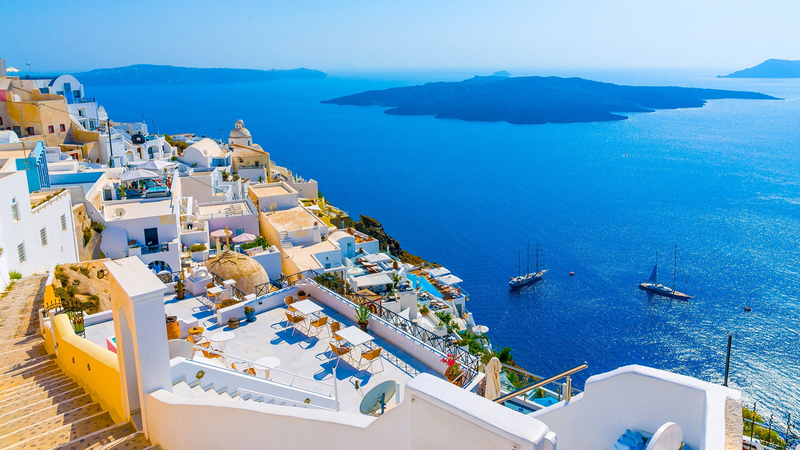 Santorini is known as the “Honeymoon island”. A great number of couples choose this island for their wedding ceremony or the renewal of their vows. Also a perfect destination to celebrate an anniversary. The beaches have warm black sand, spectacular scenery for you to enjoy, it is romantic and laid back. The island’s is meant for relaxing in the extraordinary sun shine beaches, and has a traditional Greek flare and an exciting nightlife. 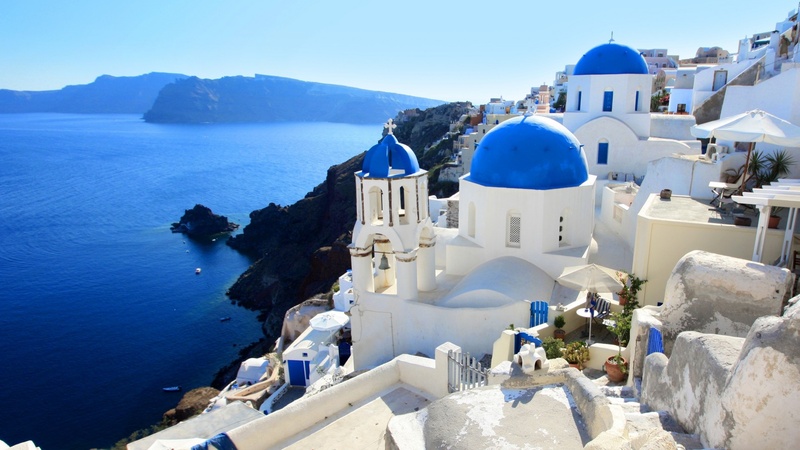 Santorini’s breathtaking landscape was forged by the second most powerful volcanic eruption recorded in historic times, in the Minoan era , between 1642- 1540 BCE. 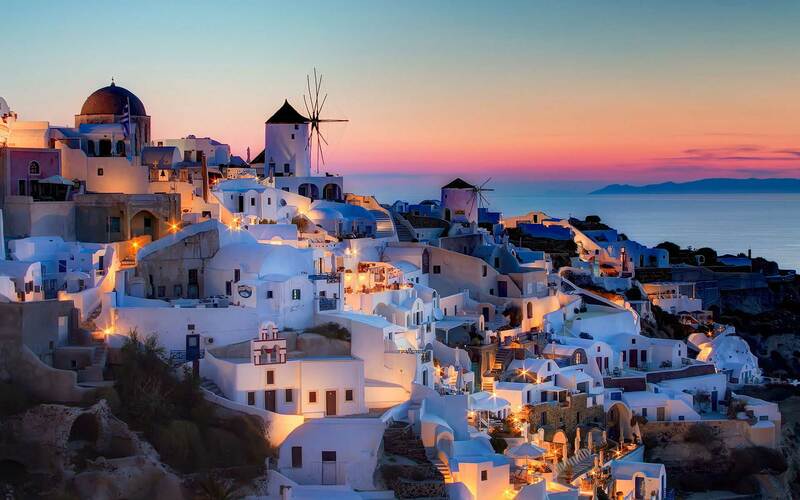 It is for sure the most romantic island of Greece. What could add more to that loving feeling than sailing the Aegean sea on your yacht sharing the sunset view with your loved one? 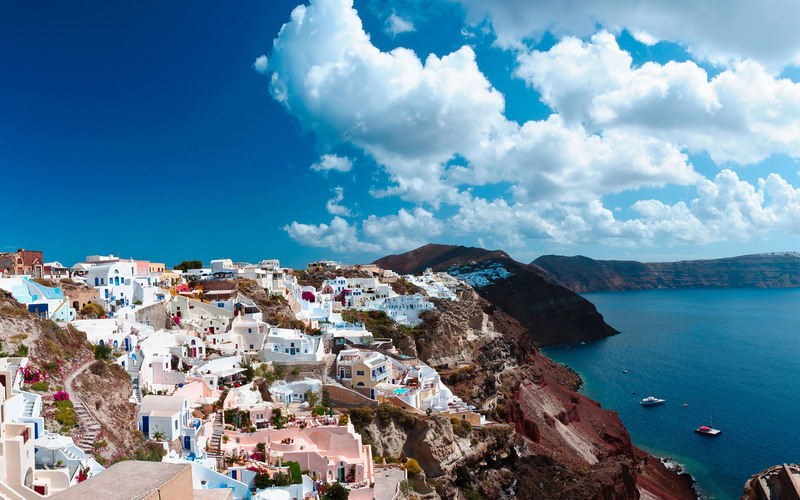 Ancient Thira is one of the island’s must see destinations. Dramatically positioned on top of a high cape, looking over a black lava beach; the ruins of this Roman, Greek, and Byzantine city spread out over acres of rocky landscape. It is absolutely incredible to see all of the history that has been uncovered.